One of the first few things I noticed is the very good storage performance of the box. 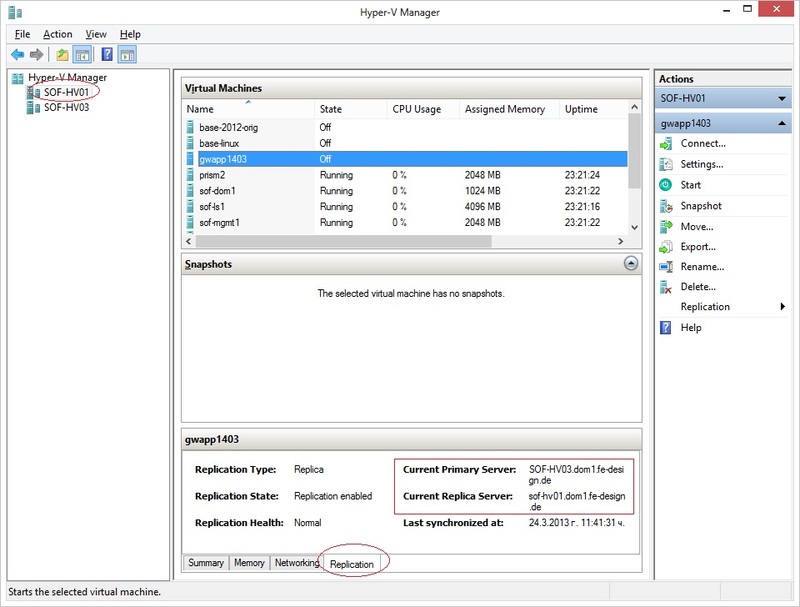 Windows Server 2012 introduced support for CentOS and made the integration services available as an installation RPM. The physical hardware is not bad at all, but is no miracle either. For this test I am using a Quanta Barebone with 1xXeon E5-1650 CPU loaded with 4×3.5 inch SATA 7.2k drives (HItachi Ultrastar A2000). The System has a LSI9271 controller and is using the active backplane of the barebone, so this introduces an additional bottleneck which could limit the performance of SSDs, but using SATA drives, we are on the safe side with 6Gbps SAS. I have configured the drives in RAID5 and installed the OS on a separate RAID1 SSD array (hosted on separate controller), to minimize interference. The Linux OS drive is placed on the SSD array as well. This leaves just the drive to be tested on the RAID5 SATA array. 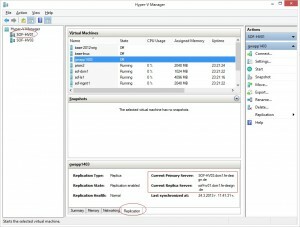 Some info – sdb is a Hyper-V VHD with 1900 Gb (why the odd number, I will explain in a different post), which is presented as an LVM member, for flexibility purposes. FS is ext4 on all tests. Pure sequential read/write which relates to best case scenario when dealing with HDDs. This should show sheer bottlenecks, if any. If I wanted to go deeper in my testing methodology, I would need to create a threaded test and monitor how performance scales with multiple threads. But that is “to do”, not a subject of this post. I was thinking about running bonnie++ since it displays easily understandable results, but as time pushed me, this will be the base for the future. I used the very good system monitoring tool atop (ready RPMs available from CentOS Extras repo). 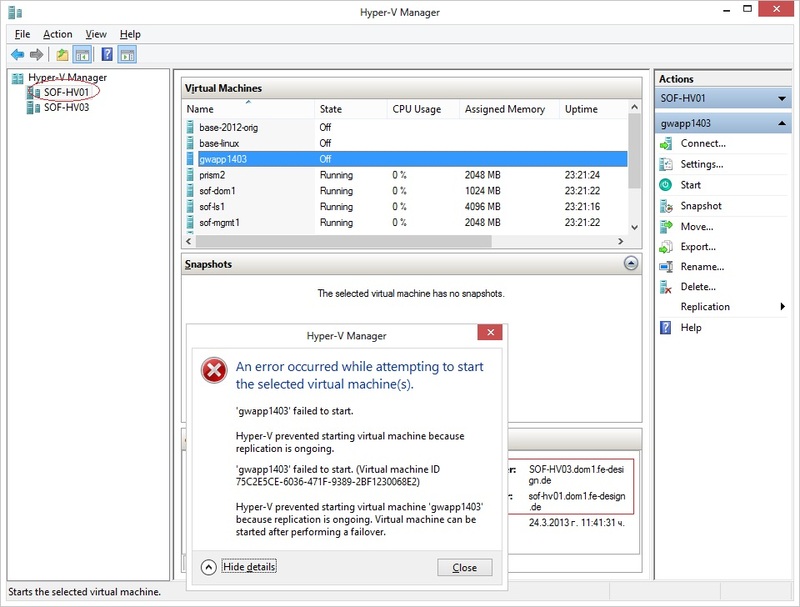 Here is a snip out of atop on Hyper-V 2012. Moreover IO response time is below 2 ms, which lets the kernel think, OK I am on a high performance storage array, don’t throttle down. As a general thumb rule everything below 10 ms is really good, so 2 ms is a great result. Writing: LVM requests 1179003 blocks to be written, but kernel knows to optimize those, and translates the blocks to 47864 HW IOps on the HDD level. This means the ration between LVM writes and HDD writes is 24:1 . Caching helps here, so we see a near zero latency. Average IO size is 9.85 kb/sec. This leads me to believe, that the hardware stripe size is 16k and is better suited for relatively small IO sizes. Real life analysis shows that 30% of IO requests are smaller than 16k, so this setting will surely help towards better performing storage for people that don’t specifically tune their storage subsys. Attempting the same 100% read/write operations on another hardware box yields somehow different results, despite having identical spinners. This is 6x 3.5 inch HDD SATA 7.2k array with hardware RAID controller (LSI 9260) with 512 Mb cache. Performance is 2 times lower, despite having 50% more drives in the array. Lets attempt the same on a VMWare box, same hardware as in test1. Just plug a VMWare USB Flash drive, reformat the datastore to VMFS and lets see what it’s got. Reading: LVM requests 15892 IOs/sec, average speed of reading is 198.61 Mb/sek or 203376.64 Kb/sec, so the average IO is 12.79 Kb. Hmm the number is something we have seen before, haven’t we? But sheer performance is again very low compared to Hyper-V. Ask VMWare. The HW is 100% VMWare certified and no 3rd party drivers have been installed. Writing: LVM requests 631219 blocks to be written, but kernel knows to optimize those, and translates the blocks to 4947 HW IOps on the HDD level. This means the ration between LVM writes and HDD writes is 127:1 .Caching helps here, so we see a near zero latency. 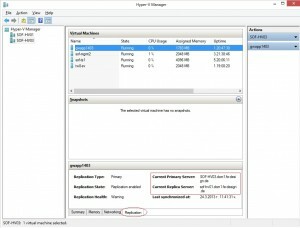 Compared to Hyper-V the number of writes is very low, however so is performance. Average IO in this test is 51K. A whopping 51K – this partially explains why VMW is so slow. it most likely utilizes 64k stripe size in its VMFS, to decrease number of IOPS, thus offload CPU. But most expensive resource for small business is not the CPU. Its the IO! 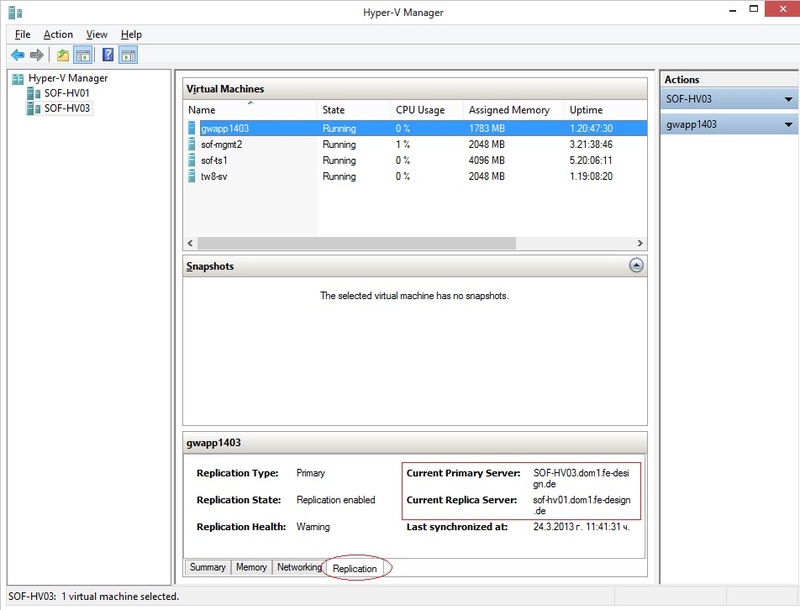 Conclusion: If you want/need single server solution for virtualization (not even a cluster solution) or are just starting with virtualization, try Hyper-V. If you will be running LARGE infrastructures, and have 10+k Eur for a node, then VMW is a solution too. But most importantly – know your hypervisor and size your IO subsys correctly. Microsoft (MSFT) are pushing hard their hypervizor as an alternative to the market leader VMWare. Heck, they even certified it to run Linux (at the time of writing RHEL and CentOS), when the appropriate Integration Services are installed (see links in the footer). So how does this work indeed? In the next few posts about this, I will be sharing hands on experience using CentOS 6.3 installed on Hyper-V 2012 with integration services 3.4 (officially supported version at the time of writing). I have recently taken a different approach to server virtualization. Until now I was using VMWare ESX for whatever virtualizatino project came up at any point in time. However as the requirements are getting more difficult and even larger in scale, I think I came to the point I need to start shifting towards different hypervizor or start planning big $$ for the hypervizor alone. 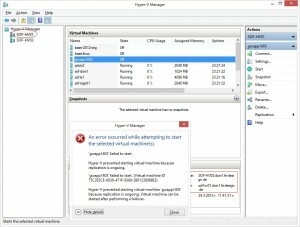 I will not discuss the advantages (or disadvantages) of each and every hypervizor out there, but will provide field track of my learnings when dealing with Hyper-V on Server 2012.